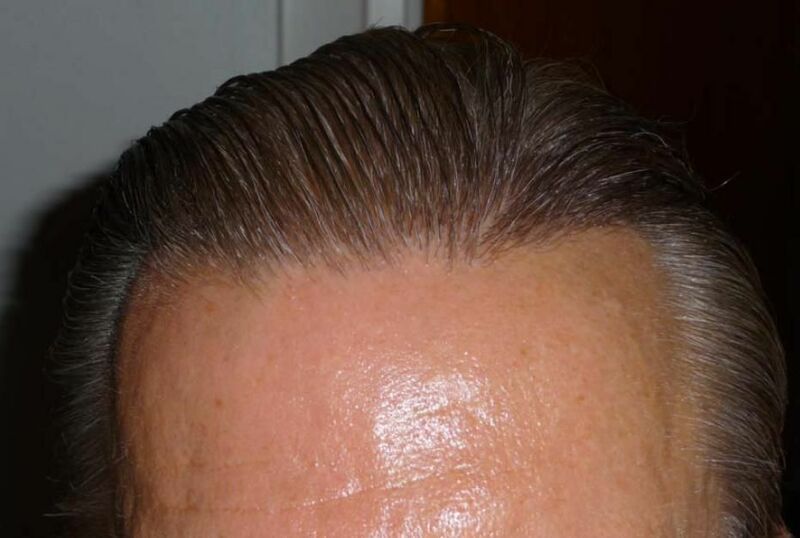 1744 FUE Hair line repair from previous poor FUE, the remit was to redefine his hair line and mask the previous poor placement from the old surgery. Beautiful result. There is a slight impression of asymmetry after the HT. Is there a reason for this? » Beautiful result. There is a slight impression of asymmetry after the HT. » Is there a reason for this? Thanks for the comment. Some of the asymmetry is the angle the shots were taken at, but also the hair line was designed around the direction of the native hair behind, if you take a look at the frontal before after comparison it looks just like a normal hair line with no obvious change from side to side, although there will be. 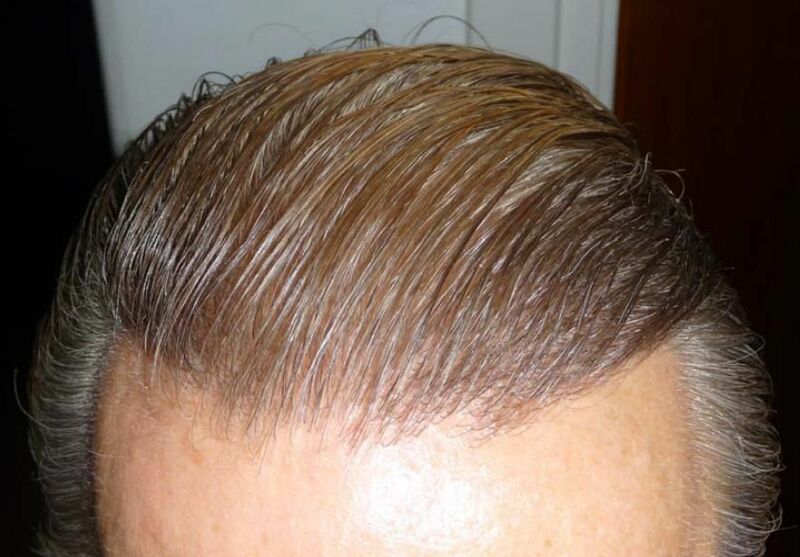 The hair line is not just a flat line of equality, neither is the scalp a flat surface and the same on either side. Little changes in bone structure will alter the position of the hair line and may at first appear to be “out” but when grown look perfectly natural and in keeping with his facial features. love it! the asymmetry makes it look more natural. It looks very nice when he combs his hair back, some of the Armani hairlines are way too perfect, this one looks real and 100% natural. » » Is there a reason for this? » perfectly natural and in keeping with his facial features. does Dr bisanga normally prefer to do strip? i only ask because seems like i have found more of his strip results than his FUE results while searching. 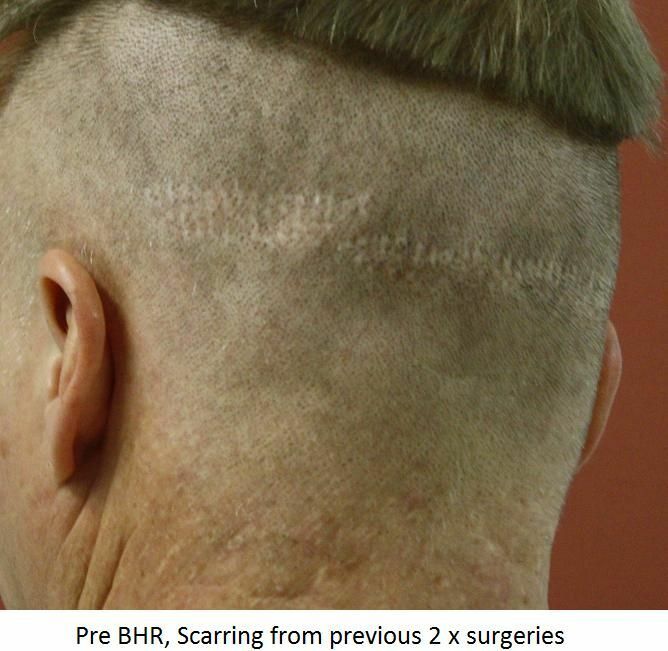 Don’t quote me on being exact but I did a quick search on Hairsite alone shows we or our patients have posted close on 40 FUE cases, FUE, virgin, repairs, hybrid, BH.The Strip cases we have posted are much less. Dr. B loves HT in general, FUT/FUE have different demands but if he has a passion I would say it was FUE for sure, as I was a former patient before advisor it is obvious to be honest, you can just sense the commitment he puts into it when performing your surgery. » repairs, hybrid, BH.The Strip cases we have posted are much less. » puts into it when performing your surgery. that’s good to hear, does he do the extractions himself or do techs do a majority of that? how much of the procedures does dr bisanga do and how much is left to the techs? 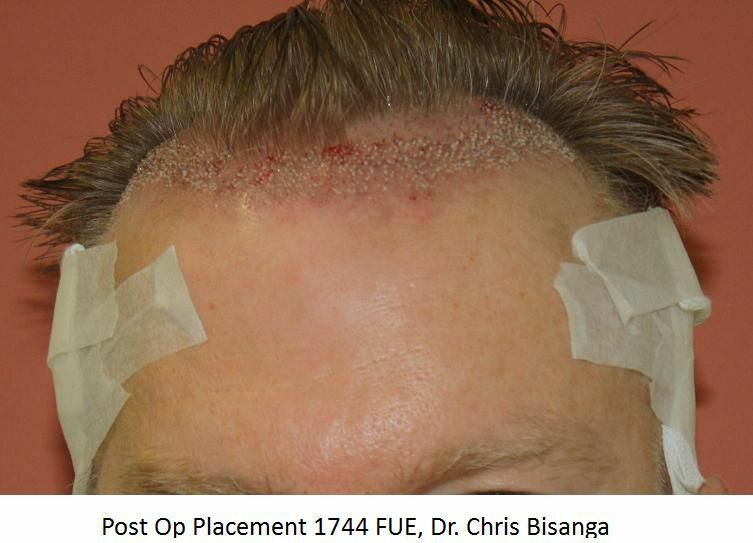 Dr. Bisanga performs certain aspects of all hair transplant procedures, with FUE Dr. Bisanga will punch all the grafts from the donor, he is aided by a tech with the counting and he and or normally his nurse or technicians will then remove the grafts from the donor and then they are checked and cleaned if required. Dr. Bisanga will make the placement sites in the recipient area and then his placement technicians will place the grafts. On occasion the doctor may place some grafts but this is not standard and should not be expected as normal. Throughout the doctor monitors all aspects of your procedure, from checking the grafts before placement, to instructing where the grafts are placed in the recipient sites. This is our normal practice throughout all BHR Clinic procedures. I know that (with the exception of Ray Woods) this is the normal and expected practise. IT JUST HIGHLIGHTS THE ABSOLUTE CENTRAL IMPORTANCE AND KNOWLEDGE OF THE BACKUP / TECHNICAL TEAM. ok great, in your opinion what is the most critical portion of the surgery? would it be the extraction or the placing of the grafts? in which part has the most room to cause a high transection rate? The easy answer would be it is all important and at any stage if a mistake occurs the grafts can be damaged or killed. Transection would occur on the punching by the doctor, so if he/she is having problems isolating the FU from the surrounding tissue then transection could be high. To a very large degree this is where the technique employed by the doc comes in as well as the punch type/size used, so potentially this is where the damage can start and be the most harmful to the patient. That said, the handling of FUE grafts is different to Strip, position they can be held when checked and especially the placement and the pressure and handling as they are more delicate and there is more chance to damage or crush and kill. 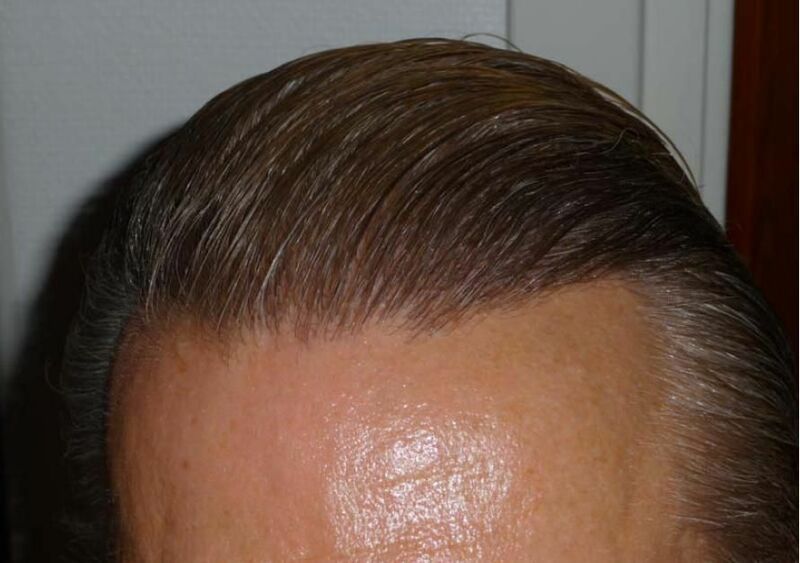 I think the asymmetry or jagged edges along the hairline is very critical, this design is working very nicely for him, all because of the jagged edges, I wish there were more hair transplants done like this. Donor prior to FUE with us. » Donor prior to FUE with us. what kind of scars are those? not like any strip scars I have seen before. » what kind of scars are those? not like any strip scars I have seen before. 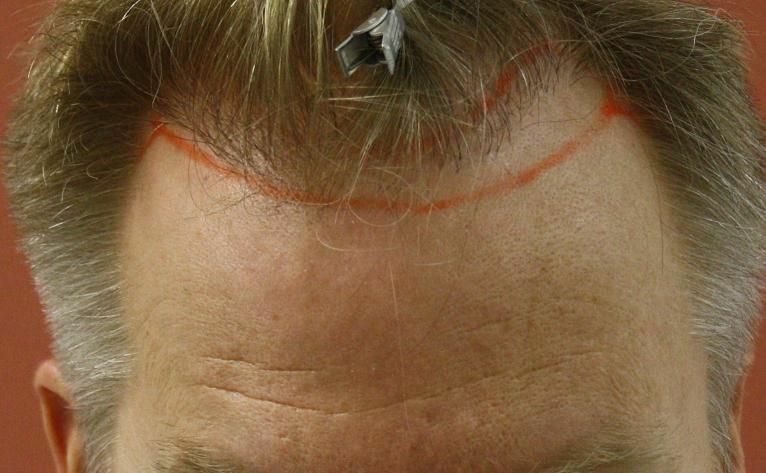 I remember he had 2 ops in the UK, were FUE of sorts, must have been large punches and the pattern is so close together it almost gives the impression in areas of a linear scar. A good example of how FUE even minimal grafts can leave obvious scars and impair the donor with no thought gone into the extraction and harvesting pattern.